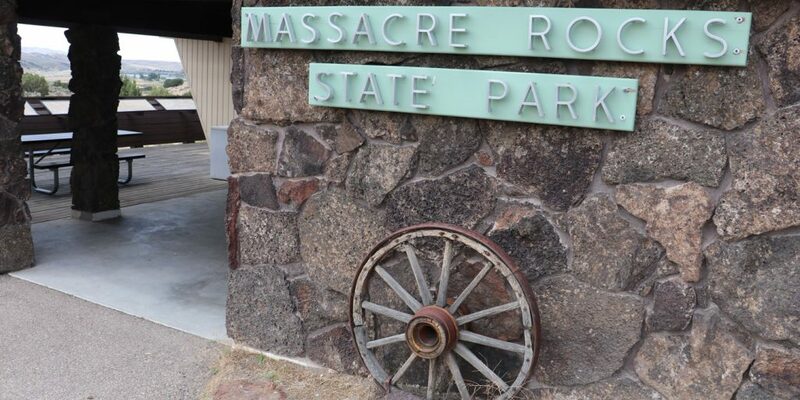 Located on the mighty Snake River, Massacre Rocks State Park is rich in history and full of year-round recreation. 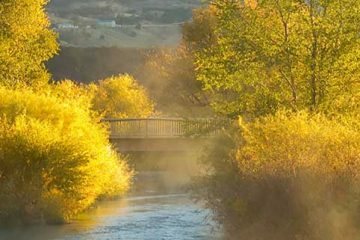 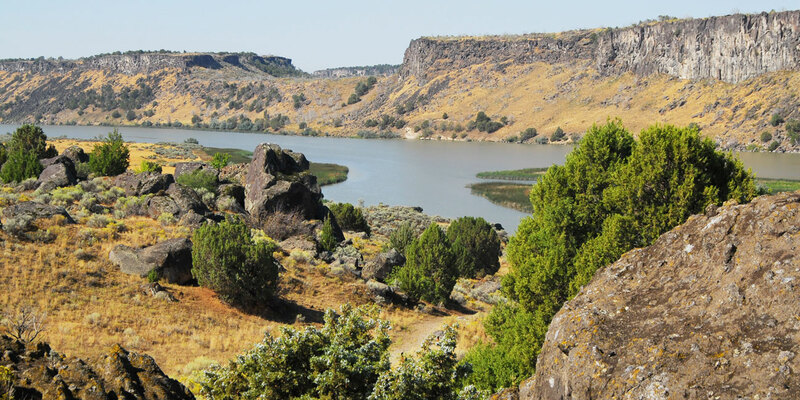 Miles of hiking trails provide access to a bounty of plant and bird species, Oregon Trail history and geologic wonders. 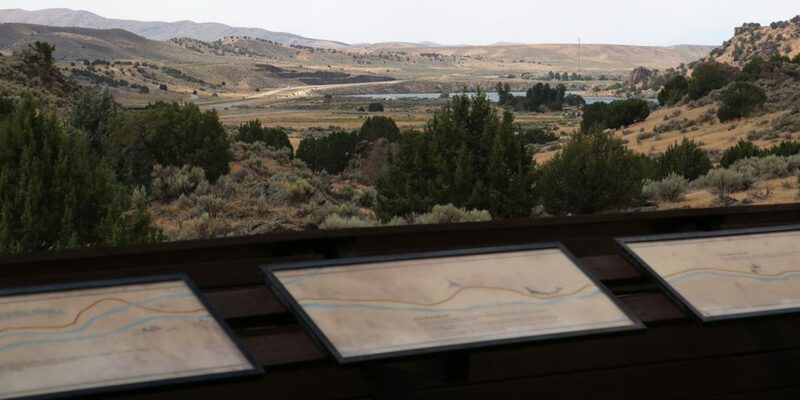 A scenic picnic area surrounds Register Rock, where emigrant name are inscribed, creating a desert oasis for the modern traveler. 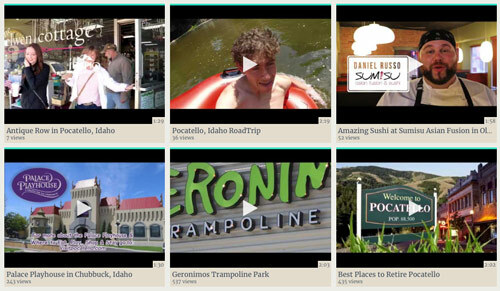 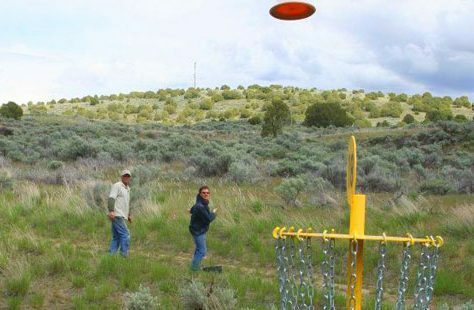 A world-class disc golf course provides golfers with one of the most challenging courses in Idaho. 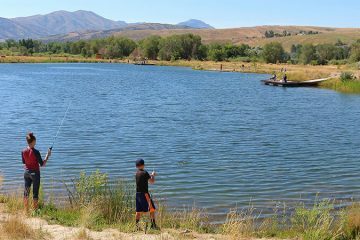 The course is accessed from the parking lot at the fishing access picnic area. 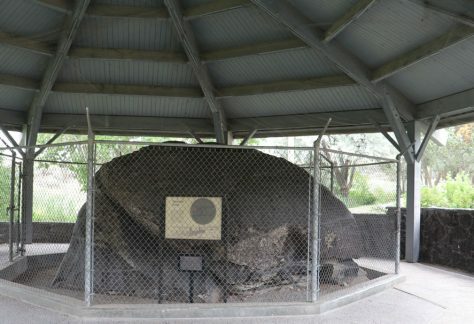 Register Rock, located two miles from the park, is home to a huge boulder that holds the signatures of Oregon Trail emigrants who stopped for an evening of rest before continuing on their journey. 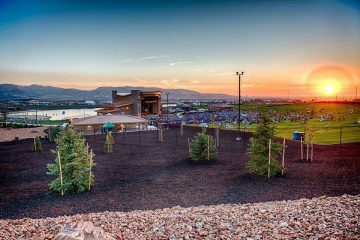 Today, it’s a beautiful picnic area with shade trees, lawn, a horseshoe pitching area, restrooms, fire pits, and barbecue grills.